F2 credited to Luke Slater rather than his alias Translucent. The sleeve states that Carl Craig At Les is previously unreleased; it was actually released in 1993 on Virtualsex. The tracks on record 5, I & J, are exclusive, and not featured on any of the CD editions of "In Order To Dance 5". The two 3xCD editions do feature 6 other tracks that aren't included here. Excellent compilation compiled by R & S Records but in there quest to fit as many tracks as possible they cut the best track on the entire compilation in half namely the awesome Phylyps Trak. With that said its definitely a peak moment in Techno. Does anyone else have a skip on La Mandarina (René & Gaston Mix) from memory when the drums start. It sounds like the needle jumps forward is it a pressing issue? or is it just on mine. "Sun Electric - Entrance (Dave Angel Remix)" was the main reason i purchases this compilation. This track has been featured on the good old "X-Mix 4 - Beyond the Horizons" (also mixed by Dave Angel). Its one of those tracks you´ll always keep in memory when heard, a true classic one which influenced me a lot on own productions. Besides all of that, there is a heavy load of excellent tracks and artists on this compilation. Kenny Larkins "Soulman" is another unforgettable jewel on this collection. Recommendation! I'm looking to buy only disc 5 (sides I & J). Any interested sellers, PM me please! I heard a lot of music samplers but this is the best what i heard until now , and im ashamed to hear this revolutionary techno music so late.Im flashed how fast electronic music developed these early years.Carl craigs at les was the reason for me to buy this one but i think the whole 2nd cd are kind of milestones of techno music and could without any doubt be compared to the music of today and tomorrow.And the sound quality of these 2 cds is in my opinion the highest i heard from a music sampler.I could say Soma records sampler can be compared to this. very glad to have bought this one. R&S “In Order To Dance 5” compilation tells a story of a formidable-eclectic tracklist, amazing tunes and exceedingly talented artists. 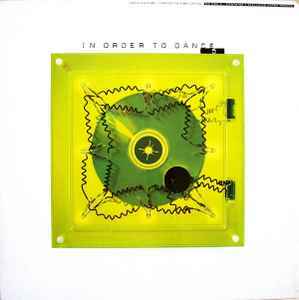 First of all, it was the first time when Carl Craig’s “At Les” classic was released, three years before “More Songs About Food & Revolutionary Art” LP (that came out in 1997) - this brilliant Carl Craig also appeared as Sixty Nine with “Rushed”. The avant-garde principle that guided R&S label since the end of the eighties could be defined not only through the times ‘when the tunes were released’, but also because of ‘how they were conceived’. The box had a so cutting-edge selection that it changed the perspectives of a whole generation in terms of electronic music – including the fact that it had brilliant classics of several respected artists, such as CJ Bolland (living the highest point of his artistic career these last two years), Kenny Larkin (owner of the full-dancing classic “Soul Man”, of fine synths and complex percussion), Aphex Twin and Dave Angel (also in his golden era as producer – “Abyss” would be released later in his “Classics” compilation). It is amazing how this magic box could represent so many kinds of sonorities, from the minimalism of “Spastik” to the deep atmospheric remix of Dave Angel to Sun Electric’s “Entrance”, present in the fifth vinyl (this one, considered a true ‘object of desire’, resulted on several disappearances during that period – not only from the DJ’s cases but mainly the ones on the used copies sold later – despite the regrets, only sometime after the customers realized their fifth vinyl was missing). In Order To Dance 5 represented a very special moment on R&S journey as well as on electronic music history during the nineties. A Box of treasures for a whole generation.